Nestled peacefully under my comforter, I heard my bedroom door swoosh open with a sense of urgency. A second later, inches from my head, I heard, “Honey!” It was my husband’s aggressive whisper. The kind that’s meant to be in a hushed tone but comes out louder than a normal speaking voice. I was in that perfectly-aligned-body-parts guaranteed-deep-glorious-sleep position. My limbs were at the melting-into-the-mattress stage. My mind was not far behind my body, already in a half-doze. The timing was crucial. I couldn’t move a muscle, lest I wake myself up. That included my mouth. Responding to my husband would be limited. A grunt was all I could offer. Thank you for making me laugh, Eva. 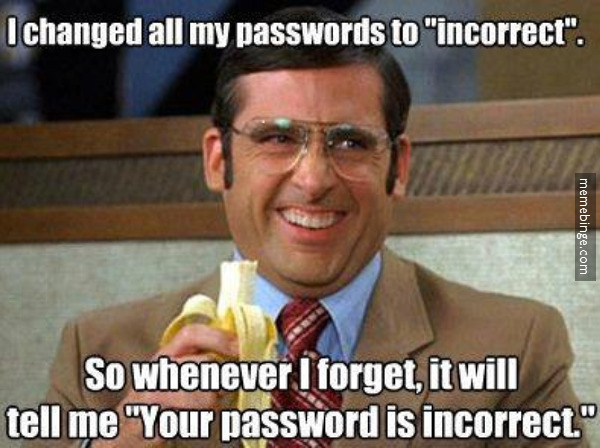 I get so frustrated with all the passwords we need to have! Katia, I feel guilty that you are reading my post. If you’re going to take a break, you should go for a walk, or take a nap, or read a book or go to the opera. Maybe you are enjoying some more free time this week. If so, have fun! But I had so much fun reading your post, Eva! Would you deny me that? One thing I have missed, is reading things I want to read, and that includes my friends’ blogs. This was hilarious because it is so true. And I tried using the same one for everything, but that doesn’t work either. Good to see you, Judee! Oh the passcode! I had one on my tv when my kids were all living here and much younger. My teenaged son tried so hard to break the code. It was so clever- our house number. I felt like a magician every time they begged me to turn off the lock on a PG 13 movie. They never figured it out! I know that magician feeling, Annette — such power!! So funny! Once again, you took a common frustration and made it charming and delightful to witness. More, please. hilarious! And I’m so glad you wrote. I missed your blogs. Hi Eva, so happy to see you! thanks for stopping by. I know it’s been a while… trying to get blogging more regularly! Next Next post: Kindle Book Deal!! Limited Time Offer!